Amber Star is made entirely of Amber and 10K & 14K Gold Beads. 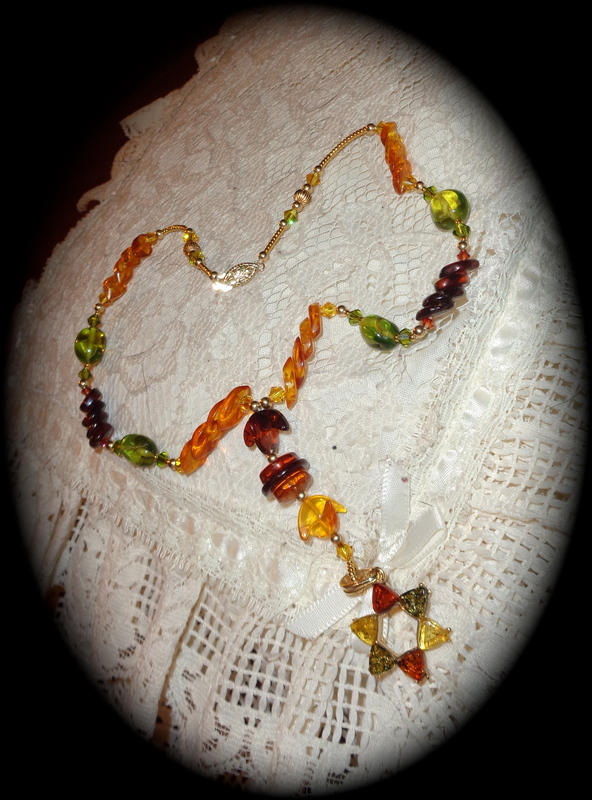 The Star of David is made of green, wine, and butterscotch amber. A variety of shapes add to the appeal. The butterscotch and wine cross-cut beads I picked up in Lithuania and the amazing crescent shaped ones I found abroad as well. The star is backed with 14K gold and the filagree clasp is 14K as well. The small round and corregated beads are made of 10K gold. 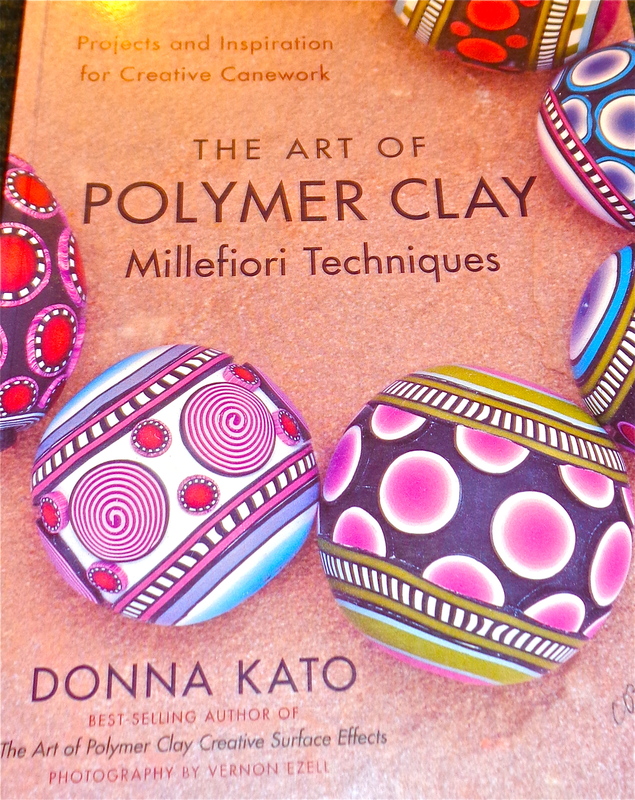 This is a spectacular necklace which will be loved by all. 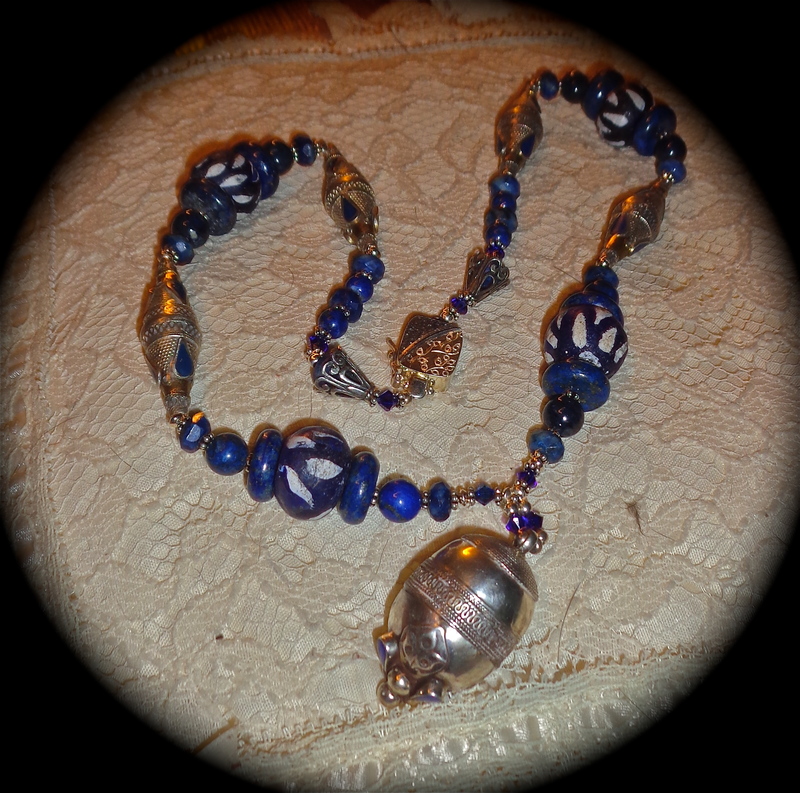 This lovely necklace is one of my newest which utilizes lovely Lapis Lazuli Beads with Ancient African Cobalt Trade Beads with flower pattern and amazing hand crafted silver beads made by Afghanistan artisans. 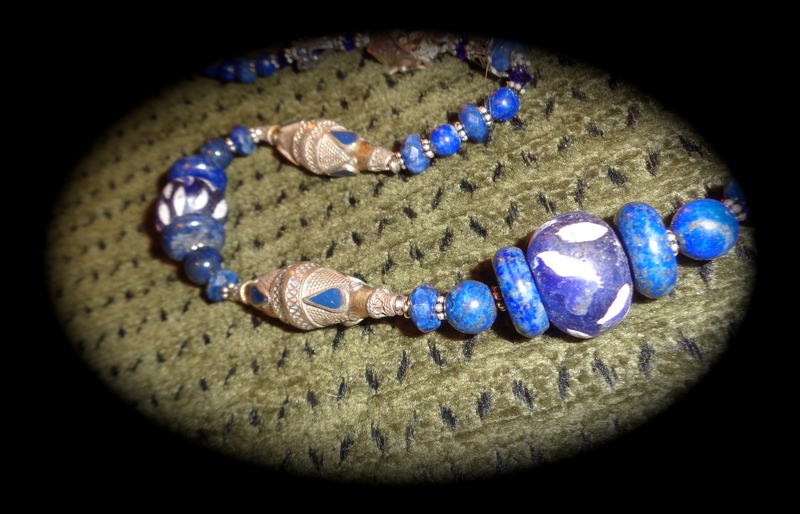 The elongated pieces are inset with lapis lazuli as well. Also included in this necklace are Bali Sterling Cones and a wonderful handcrafted Sterling Silver Box Clasp with a safety catch.The clasp is hand crafted and designed by Steve and Juana Jelen from Ventura, California. This necklace is quite unique and one of my favorites. I thought this article was of interest in regards to finding unique archaeological items. I was very surprised to see the error in paragraph 5 noting that they found an (illogical item) which was dated back to 220BC. See if you can find it too. And let me know what you think. I would love to hear your interpretations. The web link is at the end of the article. KYTHIRA, Greece, Sept. 25 (UPI) — A team of archaeologists are currently excavating the famed Antikythera wreck off the coast of Greece. Divers have already brought more than 50 artifacts to the surface, including a bronze armrest, crystal glassware, luxury ceramics and a piece of an ancient board game. As the latest discoveries prove, the Antikythera is the shipwreck that keeps on giving. The shipwreck was first discovered by sponge divers in 1990. The wreck was found off of Point Glyphadia on the Greek island for which the wreck is named. Initial excavations surfaced 36 marble statues depicting characters and gods from Greek mythology. Divers also found the remnants of the Antikythera mechanism, the earliest analog clock — programmed to predict the timing and location astronomical phenomena and used for calendrical purposes. Statues from the wreckage have been dated to the 4th century B.C., while the computer and wreck itself are dated to approximately 220 B.C. The latest discoveries are part of a yearlong study of the site. Last year, scientists used a remote-controlled submersible to create a 3-D map of the wreckage. This allowed divers to be more strategic in their subsequent underwater searches. Analysis of some of the ceramic and glass containers recovered during the most recent dive have revealed the presence of 2,000 year-old food, drinks, perfumes and medicines, offering a snapshot of life in ancient Greece. “We were very lucky this year, as we excavated many finds within their context, which gave us the opportunity to take full advantage of all the archaeological information they could provide,” Theotokis Theodoulou, one of the lead divers on the project, said in a press release. The excavation efforts involve the work of scientists from Greece, Australia and the United States.